In an October (2014) blog, Latter-day Saint Greg Trimble sought to explain “Why Mormons Don’t Believe In the Trinity.” As Mr. Trimble pointed out, it is imperative that we “know who and what God is,” for Jesus said, “And this is eternal life, that they know you the only true God, and Jesus Christ whom you have sent” (John 17:3). From there Mr. Trimble launched into the meat of his article – the specific reasons why Mormons don’t believe in the Trinitarian (Christian) God. We have presented information on the doctrine of the Trinity and the Council of Nicea before on Mormon Coffee; so if you need to familiarize yourself with the definition, facts and biblical support for the Christian Trinitarian God, please see those articles (parts 1, 2, 3 and 4). To see how Greg Trimble led me to my conclusion on why Mormons don’t believe in the Trinity, read on. Mr. Trimble (and other Mormons) exhibits a grave lack of understanding regarding the biblical, Christian doctrine of the Trinity. And no wonder. Misunderstanding of this doctrine has been perpetuated throughout Mormonism by all sorts of Church authorities, from prophets to ordinary elders, from Joseph Smith’s day to contemporary times. “Many men say there is one God; the Father, the Son and the Holy Ghost are only one God! I say that is a strange God anyhow—three in one, and one in three! It is a curious organization… All are to be crammed into one God, according to sectarianism. It would make the biggest God in all the world. He would be a wonderfully big God —he would be a giant or a monster” (Teachings of the Prophet Joseph Smith, p. 372. Ellipses mine). 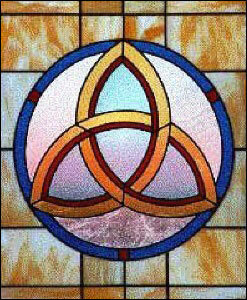 I confess: Like Mormons, I do not believe in that misconceived idea of the trinity, either. But the biblical doctrine — that is, “Within the one Being that is God, there eternally exists three coequal and coeternal Persons, namely, the Father, the Son, and the Holy Spirit” — that doctrine of the Trinity I believe. That describes the God I know and worship, and in whom I have eternal life (John 17:3). This entry was posted in Christianity, Early Christianity, Nature of God and tagged Church of Jesus Christ of Latter-day Saints, Council of Nicea, Creeds, Gordon B. Hinckley, Joseph Smith, Mormon Church, Mormons, Trinity. Bookmark the permalink. You may see little or no problem and you may have a way to rationalise Jesus not knowing, but Jesus was specific – no one in heaven or on earth knows the time only The Father. Note the use of the word ‘only’. That excludes Himself from it all regardless of whether you want to distinguish between His existence in heaven before His life on this earth and His life on this earth. One thing you didn’t do was to explain why the Holy Spirit doesn’t know, since it is only The Father who knows. As far as our prophets and their teachings, could that possibly be explained the same as early Christianity? Jesus did not teach anything about the doctrine of the Trinity. He even went as far as saying He believed in the same God as the Jews, Whom we all know is not a trinity. So where did the Trinity doctrine come from? An evolution of thought from various interpretations of the scriptures and oral traditions they had at the time. As someone on here once said (after agreeing with me that Jesus did not teach doctrine about the Trinity) – Jesus just taught the basics (ie milk) and left it up to His apostles after He had gone to teach the heavier stuff (ie meat) (Hmm where have we heard milk before meat before and why is it OK for it to be used here and not in the other arena?). The very reason we have writings against ‘heretical’ teachings and why the council at Nicaea was held was because of the varying ideologies of Christ and God in the Christian community. Just because the Trinity as was formalised at this council has won favour and is used, does not mean it is the correct ideology about God and Jesus. The council was held almost 300 years after Jesus and His apostles died with many heretical teachings in the mix. Because our church came out of a Christian background, there may have been a few ideas/thoughts that needed time to be removed – I have seen this in converts from other religions – and so the ideology evolved, directed by inspiration from God when needed. Or some of the earlier teachings from our church leaders has been misinterpreted or misunderstood, or there is more to it that we have not yet received. So my thoughts are there may be an evolution to our doctrine by inspiration, from milk to meat, as it became easier to accept the truth after converting from the false – just as the person on this site argued about Jesus and His apostles and the evolution of the doctrine of the Trinity. Since you seem to be the only LDS person responding, can you answer the question that I asked Clyde about why the BOM supports the Christian trinity idea? I obviously don’t agree with Christianity about the trinity. Many on here would say its just shadows that remain from my LDS days. I also don’t agree that Messiah taught only Milk. That is hilarious! If that were true than why did he need to teach at all? The Messiah was promised to come and explain all things and make clear the teaching in the OT. Sometimes people might read his teaching as if they were Milk because they do not know the scriptures in the OT. Anyways, will you explain why BOM doesn’t agree with DC on the trinity issue. I of course no longer have a testimony of JS or the BOM so you know my answer for why it doesn’t agree, but I would like to hear how you explain this one. I do not believe Mormons or Joseph Smith had a correct vision of God as Trinity even from Josephs original passages in the D&C. Even if the “pure mormonism” had a closer view of a trinitatian type of God what does it have to offer us that Christianity doesnt? Deification? Nope Christianity has that. An impersonal “Priesthood” power – too hard to go into that here. A pre-mortal existence? What does Jesus have to say about that. He made a stark contrast between Abraham coming into being, and his eternal being. “was” literally translates into “came into being”. How do you get around that? With the Trinity every divine activity involves the three persons. The three are never separated from all eternity. Not more than three, not less than three, but yet God is still not number. The source of every divine activity is the Father, the agent of every divine activity is the Word (Son) the accomplisher, fulfiller and perfecter of every divine activity is the Holy Spirit. The Son is called the Word because God is Truth. The Word is called the Son because God is Love. God is persons because God is Love. Love requires relationships, relationships require persons. God “SPEAKS” the world into creation through his Word. The Spirit is hovering over the waters. God created the world ex nihilo through his divine energies. Think of speaking- vibration, sound, music, cymatics. The creation is God’s symphony. Christians do not believe in impersonal energies or powers. We are not Athiests. This is not the same thing mormonism teaches now, with an exhalted man called the father, instructing a spirit being called the son to organize pre-existent spirit matter into a physical world. Not even close! From a scientific perspective its even stupid. Here we have three names of God where he is heard, seen and known in the OT. Num 24:16,17: He hath said, which heard the words of God [El], and knew the knowledge of the most High [Elyon], which saw the vision of the Almighty [Shaddai,] falling into a trance, but having his eyes open. – The transfiguration, the voice of the Father is heard, the Spirit makes him known (the cloud), the Son is seen. The baptism of Jesus – the voice of the Father is heard, the Son is seen, the spirit descends upon him and makes him known. Salvation is threefold. The Spirit makes the Son known to us, the Son takes us to the Father, the spirit proceeds from the Father, the Son sends the Spirit. Always a threefold encounter, always a personal encounter. All you have to do is take off your Joseph Smith goggles and read the Bible for what it says and not what Joseph tells you it says. Someone once tried to explain the Trinity once to me like a Sun. The Sun produces light (like the son) and Heat (like the spirit). I didnt really like this idea, because that would make the Father the round ball that the light and the heat emanate from. You would be able to see this round ball. So I like to think of Him more like an INFINITE sun. If you have an infinite source you would have to be outside of it to “see” it but you can’t be outside of infinity, therefore you can not see the source. So we have this infinite light (Son) which we can see, and this infinite heat which we can feel (Holy Spirit) yet we cannot “see” its source. God is both present in everything (and transcendent of everything) but we have lost the ability to see, hear and feel him in creation as Adam did before the fall. @ralph even if it were true that the heretic won you still cannot find mormon teachings in the early church. The Arians of today are the JW’S. The trinity was not an evolution, it was a further articulation of what already existed. Just READ the writings of the apostles successors. The trinity is biblical as shown from my above post (and I can expand more which I have in former posts) but the fathers help to further interpret scripture and show what was taught in the early church. By church I mean those who were direct succesors of the aposyles, had the laying on of hands, and were not outside of communion with the whole body as the heretics were. Have you examined for yourself? They are readily available – http://www.amazon.com/Apostolic-Fathers-English-Michael-Holmes/dp/0801031087. Not only will you not find mormonism here but you will find specific teachings against mormonism. Yup, in Ralph’s world, everything that the LDS church believes, practices and teaches was the exact same thing as the first century church. The primitive Christian Church had an endowment ceremony which was performed in Christian temples. Is that a correct characterization of what Ralph would believe? Well maybe not. That would be because of the slow roll-out of the LDS restored gospel theory which may be popularized. Wouldn’t that fit better than the usual claim by the LDS folks that due to a grand conspiracy, all of the Mormonism was deleted by dastardly medieval Catholic monks? Now that’s what I call hidden and a super slow roll-out. But it all has to be true because it makes the dedicated LDS member feel so good. That’s all the confirmation that is needed I guess. Forget the evidence. Just come up with some sort of fantastic explanation void of any real evidence. The testimony must be protected! I don’t know if I can answer your question properly (ie fully referenced as I am working by memory here) but I will try. First, you didn’t quote the verses in between, you just quoted Alma 11:26-31; 38-39. If you read Alma 11:32-37, Zeezrom changed the subject from God (ie Heavenly Father) to Jesus and then makes that discussion about salvation and Jesus’ role in it. So the first verses you quoted pertain to Heavenly Father as the one and only God that we worship and acknowledge as our God. The change in subject in the verses you missed sets the scene for the title (note TITLE) of Eternal Father as used in vv38-39. It is through Jesus’ Atonement that we receive eternal life. Now part of the meaning of father is the one who gives life. So if Jesus gives us eternal life He can be called the Eternal Father as a title. This does not take from Heavenly Father who is our overall Father and God, it is a title of His achievement for us. If you read the next verse – Alma 11:40 40 And he shall come into the world to redeem his people; and he shall take upon him the transgressions of those who believe on his name; and these are they that shall have eternal life, and salvation cometh to none else. it tells us that it is only through Him we, and all creation, receive eternal life. In the Bible we also read – Isaiah 64:8 But now, O Lord, thou art our father; we are the clay, and thou our potter; and we all are the work of thy hand. where it calls the Lord, who is Jesus, our father because He created us from the clay. This still does not detract from Heavenly Father’s title and power as our Father and God. This is why Jesus is also called the everlasting Father in Isaiah 9:6, He is the giver of our everlasting/eternal life. But basically it is a title and role, not the be all and end all to mean that He is the only God and the same being as Heavenly Father. Now, thanks to MRM, I may after all of these years on this blog, finally swerved into the LDS mind-set. It is contained in D&C 124:41. How could I have missed this? Actually I think it should read “hidden” but who’s to quibble over such an important reveal? These temple ordinances were not part of the first century Church, right? They were “hid”. Then WAMMO, Joseph Smith comes along and reveals the whole lot of them. Jesus maybe didn’t even have these? They could have been that well hidden. After all, we are told that these Mormon gods grow in knowledge and wisdom. So maybe what happened is the Mormon god of this planetary system finally got these ordinances revealed to him and then he revealed them to Joseph Smith. Thankfully these ordinances had already been revealed to the Free Masons, the keepers of ancient wisdom and knowledge. Help me out here. Where does heavenly mother or mothers, depending on how many wives the god has, come into play? Since you’re quoting the Bible to make your case, perhaps you can find some verses that clearly lay out how all of this works. We have the Mormon heavenly father producing spirit off-spring with these goddess wives of his. These spirit off-spring then get mortal bodies and inhabited the god’s planetary system and then they get to become gods if they don’t drink coffee and pay their tithe on time. That is unless they can get someone to do the “work” for them after they die. This is how it all came down in Mormon lore as to how Jesus came to be out there on or around Kolob. I know you probably don’t want to break this down to the Mormon essentials about the pantheon of the gods but it’s pretty disingenuous of you to try and participate in this discussion if you don’t give the whole picture. We/I wouldn’t be doing my duty here if I didn’t constantly hold you to account for the whole program as you believe and endorse it. It gets pretty bizarre don’t you think? Yes, I know you have a testimony with all of the knowing and feeling and spiritual experiences confirming what you believe. I’ll continue to pray for you that the Lord God open your spiritual eyes and reveal Himself to you. Until then I’d appreciate it if you’d be a little more up front as to what the whole picture entails. Ralph and cattyjane………………………………………interacting. Now there’s a dynamic duo. Neither believes in the Christian orthodox doctrine of the nature of God. One believes in a pantheon of gods with men becoming gods, while the other is trying to work out a theology in regards to who God is. If I didn’t know better, I’d say this thread and blog are being hijacked in order to confuse Mormons who come here looking for answers. Instead what they are reading is the musings of a couple of people who are about as far away from knowing God as anyone can get. I’m halfway between suggesting that Sharon shut this thread down and just letting it play itself out. For those of us who actually know who God is, what do we do? Perhaps Ralph and cattyjane can exchange e mail addresses and carry on without the rest of us. Just want to point something out about Isaiah 9:6. I believe the septuigant has the correct translation of this verse in Isaiah. The Early Christians believed the Septuigant to be an inspired translation. (the Orthodox Church still uses this today). Isaiah 9:6 For a child is born to us, and a son is given to us, whose government is upon his shoulder: and his name is called the Messenger of great counsel: for I will bring peace upon the princes, and health to him. Nice side step . The scriptures simply refute your flawed reasoning . You seek to ignore what the whole Bible reveals about Jesus , instead you cherry pick an instance in the gospel of Matthew to prove that Jesus could not be the second member of the Trinity . It’s easy to reach a false conclusion about Jesus ( or the Trinity ) by isolating one verse , ignoring it’s context . I’ll remind you again that Jesus is Jehovah , Jehovah is omniscient ( Isa 40:28 ) . Jesus was born on earth as a man , He said He had come to do His Father’s will , and that included his statement in Matt 24:36 . We can argue all day about why Jesus said that but the fact remains it has something do with him as a humble servant saying , and doing , only what his Father deems necessary for us to know.. 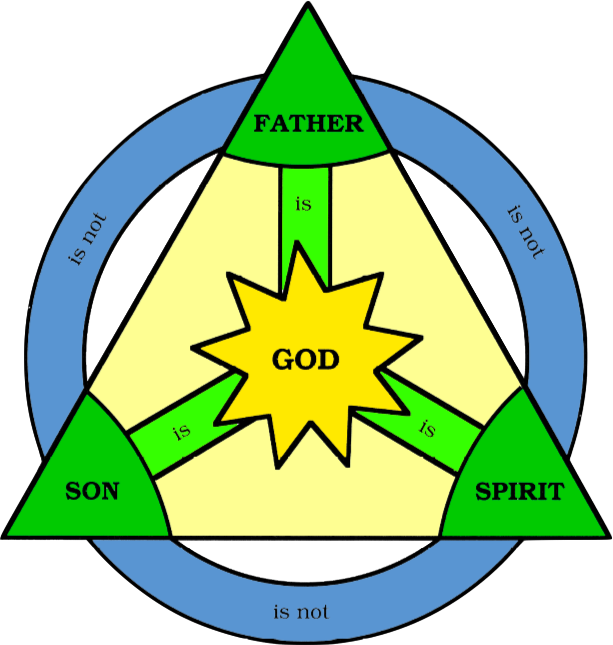 The doctrine of the Trinity starts in the O.T. but becomes revealed in the N.T. , and Matt 24:36 in no way refutes it . Matt 4:10 . Notice the word ” only ” here ? Does this mean that Jesus cannot also be worshiped ? But the Bible affirms that it is proper to worship Jesus ( Matt 14:33 ) . In Matt 19:17 if we pull this verse from it’s context we could conclude that Jesus is’nt good . Ralph ,the way you attempt to use the Bible makes it easy for a person to produce aberrant beliefs . That’s the short answer for you . I’m not going into it any further at this time . If I remember correctly it was I who said that to you , but you read into it more than was intended , and now try to use it in a way to prove that the Trinity is not true ? In the four gospels we have truths about Jesus / God ( and some other doctrines ) that gain even more exposure in the Epistles and the book of Rev. , that’s all I would have meant . So please don’t use this in a way that would suggest something I would not subscribe to . Your ” milk before meat ” comment , in trying to save your leaders from being exposed as gospel preachers who are trustworthy as guides , was amusing . There’s just enough truth in it that it would snow someone if they did’nt know more about Mormonism . ” …the professing Christian world are like a ship upon a boisterous ocean without a rudder , compass, or pilot , and are tossed hither and thither by every wind of doctrine . ” [ B.Y. JofD v10p265 ] . But Mormonism claimed to have the only qualified pilot , and the ship , and thus doctrinal accuracy and safety is found only by following the Mormon hierarchy ! Yet the record shows that the accusations which Mormon leaders like Brigham Young leveled against non LDS preachers reveals that the leaders of the Mormon church were guilty of also . It is a textbook example of the pot calling the kettle black . Bottom line : Mormon leaders can’t be trusted as consistently reliable guides . the trinity of Gods who created this earth were , Elohim , Jehovah , and Michael . That’s enough for any follower of Jesus to dismiss considering joining Mormon church , and it is God’s way of alerting LDS to walk away from Mormonism . In doing so they will not be in the dark but will have a good opportunity to get alone with the Bible and it’s author and see how He cares for them and how they can learn about Jesus and the true freedom He offers . Heb 7:25 . Ralph, we will not give up praying that you will allow God to open your eyes to the truth . There should have been a ” NOT ” before the word ” trustworthy ” . You exercise far more patience than I can often muster with our friend Ralph. Let me just remind everyone of something that I know. What I know is that Mormons are among the absolute worst interpreters of Scripture. As Mike has pointed out, Ralph takes one verse and runs hither-and-yon with it, not using any systematic approach. But that’s the fun of being a person who is into “revelation” and how it makes a person feel to have a pleasing idea. What we find on a consistent basis, is that Mormons are a reservoir of mis-information and limited knowledge. That’s because they have to protect their testimony at all costs. Tragically, they can’t even begin to see their folly. Ah yes, ignorance is truly bliss but it’s not the way I’d want to live my life. Bad doctrines have always been around and were expected. It was in the battling it out that the truth would be revealed just like in the arian controversy. Paul said he taught the same thing everywhere, so when they heard something off they knew it and it could be dealt with. 1 cor. 11:19 – For there must be also heresies among you, that they who are approved may be made manifest among you. The problem is those mormons leaders who taught bad doctrines were not anathmatized. At least the Christians had a system for putting heretics outside the community so they could protect the faith once delivered. The Bishops were a part of the lay people and the people had all the power to elect and dispose of them. The people were the Church. In mormonism the people have no say. If they speak up they get excommunicated. This is not the way Christ set up his church to operate for reasons that are becoming obvious now to mormons. They want their voice back. @ralph, I just noticed something else. The word ” lord “here is YHWH- the divine name. Translated “I am” in english . This name applies to Father, Son, and Holy Spirit, One God, not specifically Jesus. This verse is speaking about the Father. The father created us through his word(son) and his spirit. All three are involved. Never separated The Mormon god does not need his son in order to exist or create. The Christian God has his son (Word) as a part of his being. His Word dwells in his bosom. Is this beginning to make sense now? Just think about the divine name itself! Its not really a name, its God saying I Am who I Am and you cant put a name on me. When we name something we have a certain power over it. Adam names the animals and had dominion over them. I Am implies unchangedness and eternity. Only God can say I AM anything. The rest of us are all changing and growing. How could mormon Jesus say “I am” if he wasnt fully exhalted yet? Stop picturing God as a spiritualized human being and read the scriptures in light of this and you will understand them much better. – The Trinity consists of three males , neither of who has always been God , and all of whom were brought into existence as persons by a God and a Goddess . So the Mormon Heavenly Father has a female Deity for a Mother and His two sons , Jesus and the Holy Ghost have another Goddess as their Mother , one of Heavenly Father’s wives . These three, a Father and two out of His millions of sons , formed a council in heaven that is the Mormon Trinity or Godhead . and certainly not produced by a higher God and wife , who eventually became to be smart and strong enough to be able to say ” Let there be light ” ( Gen 1:3 ) . In the Bible in reference to God it’s God , not Gods , One unique God who has always been such . His majesty is beyond human comprehension , we can only look to the stars at night to catch a glimpse of His power . This Creator has revealed Himself in the Bible as Father, Son , and Holy Spirit , one God , not three Gods. Sadly, but when Joseph Smith succumbed to believing in and teaching Gods that error commenced his introducing other errors about God . The Mormon God became to small , the product of a fertile imagination of a man who had an idea that he could become an Almighty God , so he had to reduce the Creator to a common man from another planet and then said man could become the exact same type of Deity . The Mormon people deserve better . They are sincere people who have been detoured from the truth about God by men who attempt to mimic Jesus’ apostles and thus cleverly convince people to follow them . Freedom is available for Mormons . God loves them and so do we . Good catch. I was going to correct Ralph on that verse in Isaiah. No need to you did great. Looks like I am not invited to this conversation. Thanks for responding anyway. Don’t go all persecution on us now. Gnosticism, Quartodecimanism, Montanism, Monarchianism, “Puritanism”, Arianism, Monophysitism, Pelagianism, and Nestorianism. I don’t think that this is even an exhaustive list. I have a handy dandy chart here, color coded no less, with solid lines depicting the period of major influence and a dashed line for the period of waning influence of each along the spanning centuries. Quite a choice for you there, isn’t it? I sincerely hope you are beyond picking the one that makes you feel the best. There’s so much confusion that what you need to do is to find yourself a modern day prophet who can set it all straight for you. There are all kinds of these guys and gals floating around who would love to reveal the truth to you. Just the Mormon sects alone would keep you busy for several years. They all have someone might and strong who has received the truth because all of the other groups have gone into apostasy. @falcon – I would really like to see that chart that you have, anywhere I can find it online? I was thinking about something yesterday. I really think I could forgive everything Joseph and the prophets have done and said that was incorrect if I actually thought the Mormon Church had NOTHING but the nature of God and Jesus and salvation right, and all the rest of Christianity had it wrong. Polygamy, Josephs wild stories, prophets teaching some wrong doctrines. I could do the mental gymnastics, make the BoA, the Book of Mormon a “spiritual” truth not actual history. I have no problem with that. I don’t see that every story in the Bible has to be history or literal. None of that would matter if the end result was the truth about God. That to me is the heart of the faith, the rest is just sinful humanity doing what humans do and making mistakes. Christianity has never been immune to that either. It would be very easy for me to be Mormon still. Its where I grew up. All my family and friends were Mormon and they are all great people. I’m lucky to have grown up in a really good ward. I liked being Mormon, but there was always something “off” about it to me. The problem is it doesn’t fit. It doesn’t fit into the OT, or the New, or the teachings of Jesus, or the Apostles, or the Fathers or the church up till present day. Every false teaching is like a domino effect from having this essential piece out of place, the mormon church is crumbling because the foundation isn’t solid. What of those early heretical groups? None of them agreed with each other either, just like the gnostics and million different new age groups today. They all eventually burn themselves out, people get bored and itch for something new and exciting. When I was inside the Mormon church I couldn’t see the real differences, I had to step outside and really look at things objectively. If you want to understand the doctrine of the trinity, you aren’t going to do it by simply googling it, or asking a random Christian. You need to understand the apophatic theology that the fathers used in formulating it, how they defined “person”, “essence” “nature” “being”. Its not a surface understanding you can come to just by reading the creeds. Even the fathers had to make sure they all were understanding what each other was meaning and saying and that they were all coming to the same mind. A lot of early disagreements were from just not understanding each others words and definitions. It took time to work it all out. The problem is we are all using words to try and describe the indescribable. Erase in your mind everything you think about God, learn from them and go back and read your Bible and it will all come together perfectly. I simply don’t need the Book or Mormon as another “witness of Jesus” most of the “wisdom” there is just parroting or re-saying verses from the Bible anyways. My mom will argue that the restored “priesthood” authority is what is essential, but even that stems directly from the incorrect mormon teaching on the nature of God so its not even an argument! I wouldnt call it persecuted, discrimination would be a better term I would think. If you care what my argument against this trinity idea is, im more than happy to post it. Ill put it together tonight with resources included. Then you can see exactly my view on the God of Israel, His Messiah and the Spirit. Im not just going to throw a post out here half cocked with regard to this topic tho. Especially with how biased and resistant to information people on here seem to be about this topic. So if Sharen is find with me posting my repose to this than i will post it tonight. If Sharen in fine with me posting a response to this than i will post it tonight. There are some things that are definitely tricky, it’s part of the mystery of the incarnation! The Father is omniscient and the source of all knowledge. The Father shares everything with the Son, so the Son also knows all. When he chose to take on the limits of humanity, he only reveals what the Father instructed him to during his incarnation and the question of when he is coming back is one we aren’t supposed to ask. It seems he only chose to access the divine mind and power at the instruction of the divine will. Jesus had 2 wills and 2 natures because he was both God and man. As God he had a divine will (which is the same will as the father’s) and a human will both. His human will was in perfect submission to his Divine will. John 6:38 – For I came down from heaven, not to do mine own will, but the will of him that sent me. I do believe a lot of the fathers say he did know, but they interpret as him saying it is not for me to reveal to you. “To know” something is used in that that way in this verse below as giving knowledge to another. He could just be playing dumb though lol. Like in the Garden when God asks Adam “where art thou” as if he didn’t know. OK cattyjane………………………..have at it. But please remember to include references. Now it’s not that I don’t think you’re smart enough to develop your own theology/doctrine of the nature of God, but I need to know if this is homespun or from sources. The nice handy little chart can be found in Christian History magazine Issue 51. Vol.XV, No. 3 on pp. 36-37. I believe you can get the entire package of back issues on CD. I wish I could ship this off to cattyjane because on pp. 20-21 there is another excellent chart titled “Sifting Through the Christ Controversies”. It has as a heading, “Is Jesus Divine or Human”. Then two other headings, “Christ is fully Divine” ( Docetists, Apollinarians, Modalists) and “Christ May Be Special, But He’s Not Divine!” (Ebionites, Adoptionists, and Arians). The former were driven by the conviction that only God can save humankind thus they were willing to protect the deity of Christ, even at the expense of his humanity, or in the case of the modalists, at the expense of the Trinity of persons. The latter took seriously the Gospels’ portrait of Christ, in which Jesus is portrayed very much as a human being. So here’s the problem that I think our friend cattyjane is going to run into. She’s going to come up with something in regards to the nature of God that will satisfy her intellectually but she won’t grasp the implications of what she has come to believe. “Jesus is fully human and fully divine, having two natures in one person without confusion, without change, without division, without separation’. The key text is Philippians 2:5-11. I’m not surprised at your attitude in accusing me of being bias and of being resistent to information . The last few weeks as seen you mad and stating your through with posting here , then you quickly come back etc . Now you accuse me/us of being bias .That suggests to me that you are in an emotional state that is not conducive to a fruitful conversation here . I repeat my opinion for you that you take a break and get alone with the Bible and God . Put away your books / study group . Amassing knowing can be a trap in certain situations ( Jn 5:39-40 ) that anyone can fall into when they are trying to find the truth about God/Jesus after having come out of a control group like Mormonism . does’nt appear to lent itself to listening right now , I understand it’s a journey for most ex-LDS , so I’d like to remind you of what I said a week ago or so, namely , before you tackle the Trinity you need to start on square one first which is discovering what the Bible reveals about Jesus and knowing Him ( not just knowing about Him etc ) . Until you settle that in your heart you are in not a good position to accept the Trinity with a good degree of confidence . I guess cattyjane must be working on her thesis regarding her doctrine of the nature of God. I must say that when it comes to this doctrine, the proposals all fall into some category already expounded upon by someone in the past. It’s just a matter of where a person wants to plant their flag. As I mentioned in an early post, what someone believes about the nature of God and specifically about the nature of Jesus Christ has huge implications. So as cattyjane develops a workable solution to the question, “Who is God?’, the other part of the question is, “Who is Jesus?”. It’s the, “Who is Jesus?” question that needs an answer that doesn’t do damage to the whole point of Jesus’ coming in the first place. He came as the Lamb of God to make sacrifice for our sins. This requires “perfection” and spotlessness on the part of the one who is the sacrifice. The only One who is perfect and without spot or blemish is God. One of God’s attributes is that He is Holy. The Bible is pretty clear as to who Jesus is. He is God incarnate. For anyone struggling with the doctrine of the nature of God, it would be a good idea to read what the Church Fathers had to say on the topic.